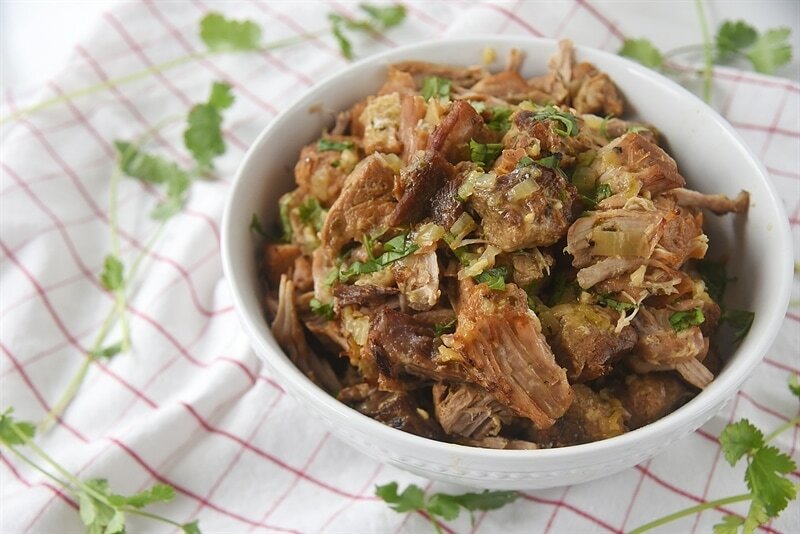 Instant Pot Pork Carnitas give you the slow roasted flavor with none of the time and hassle. 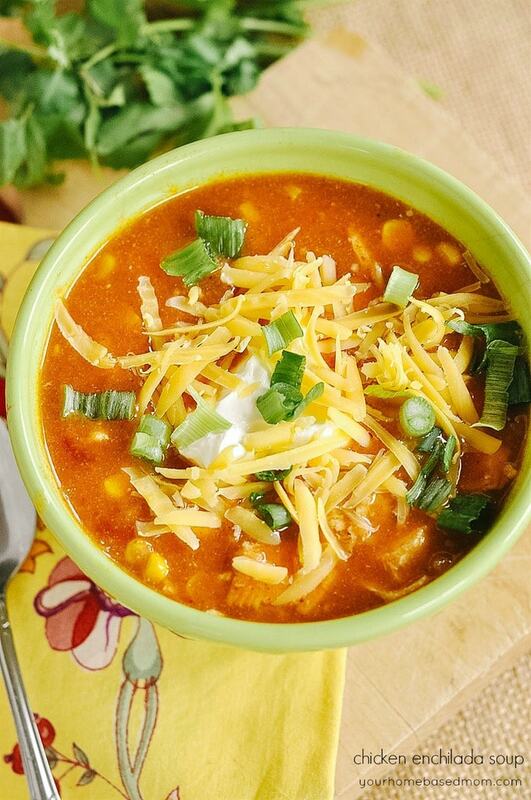 You can use make this in the slow cooker. 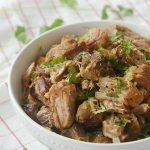 Although this recipe is an Instant Pot Pork Carnita Recipe, it is the same ingredients I use in my pork carnitas slow cooker recipe. 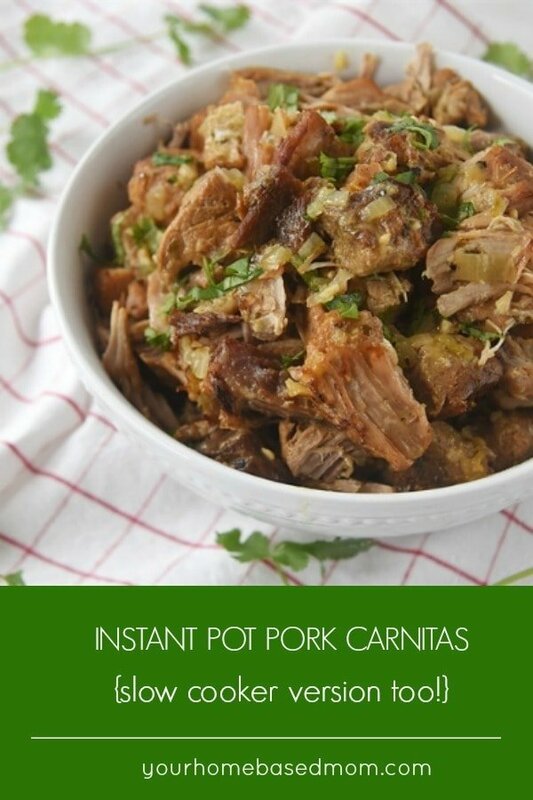 With just a few changes, you cam enjoy these pork carnitas in the Instant Pot or Slow Cooker. 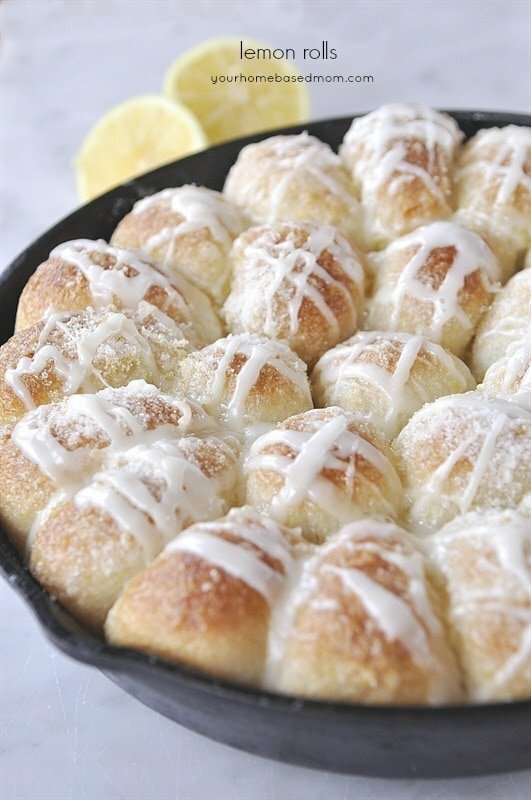 Either way, they will taste amazing. 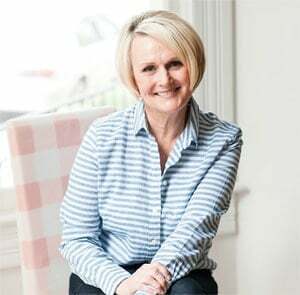 I’m keeping that new Instant Pot of mine busy. 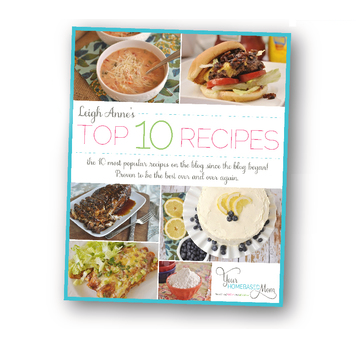 I have been finding ways to make all of our favorite recipes with my new gadget. But don’t worry if you don’t have an instant pot. 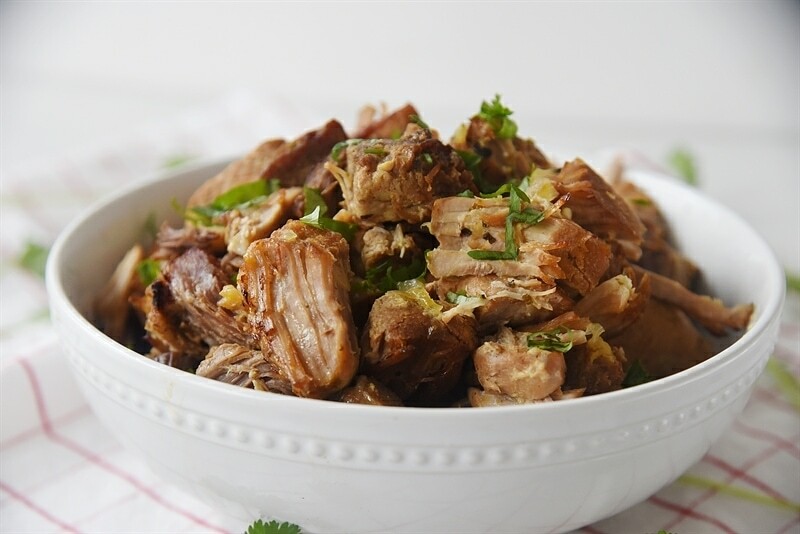 This recipe doubles as a pork carnitaa slow cooker recipe as well. Both cooking methods create a delicious meal that usually takes a lot more time and work to cook! 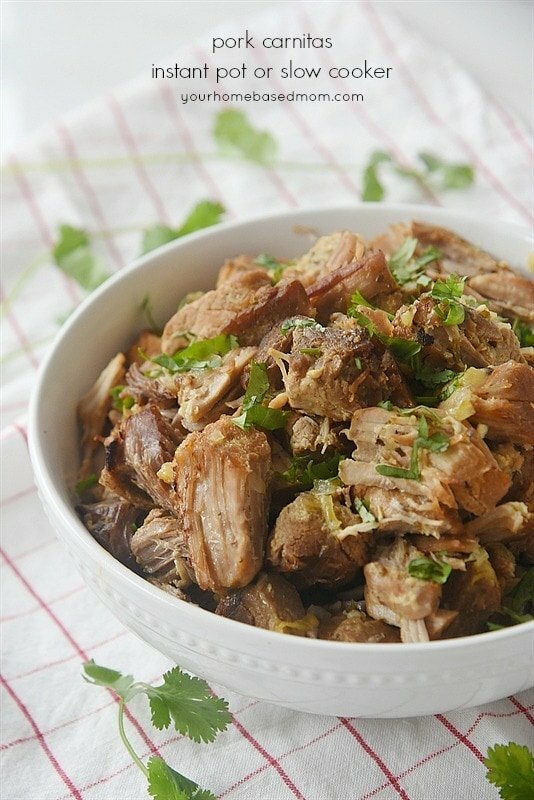 I love making up a big batch of pork carnitas and then using it all different ways for dinner during the week. 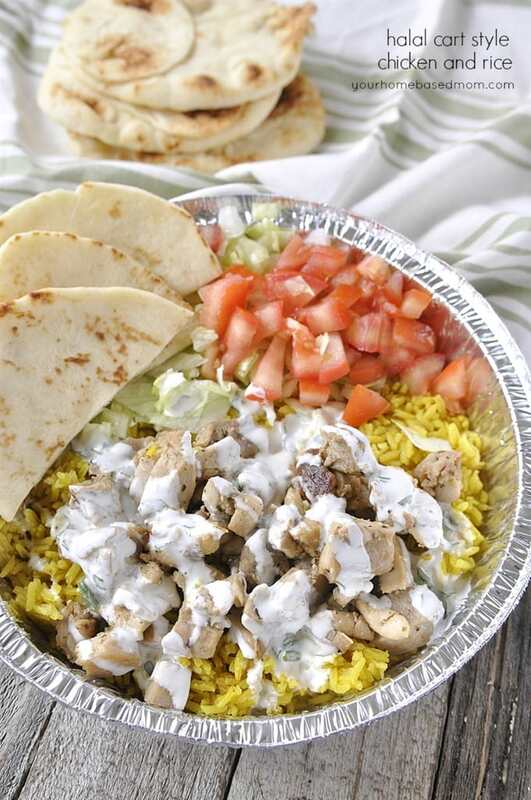 You can serve them over rice, in a taco, a burrito, or over nachos. You name it! I just love this stuff. You will want to brown the meat before cooking. You can do this right in the Instant Pot on the sear setting. 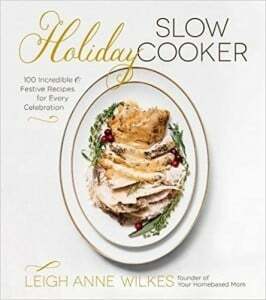 If you are using a slow cooker, go ahead and brown the meat in a pan first before putting it in the slow cooker. I don’t recommend using the slow cooker feature on the Instant Pot, use your regular slow cooker. 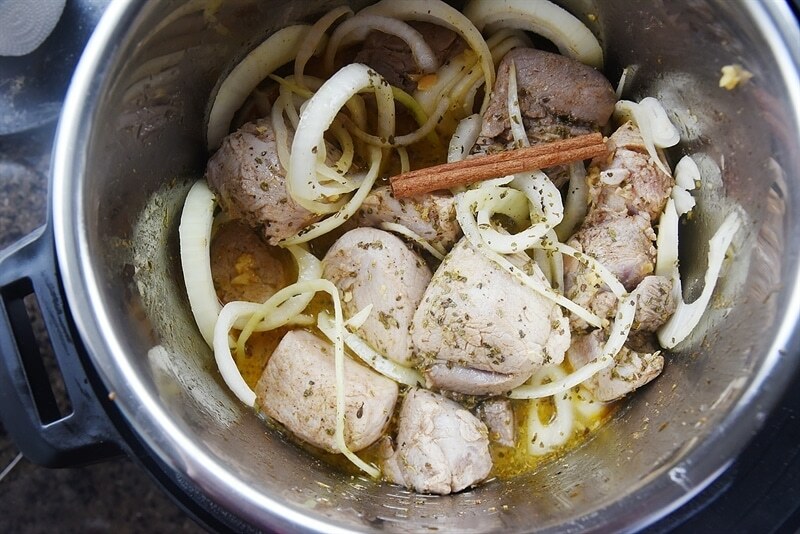 The meat gets lots of flavor from orange juice, lime juice, cinnamon, Mexican oregano and chili powder. Put the Instant Pot on the meat setting and then go do something else, about an hour later dinner will be ready. Once I take out the pork, I put it on a cookie sheet and shred it. I like to leave the pieces fairly large. Put the meat under the broiler for a few minutes to crisp up the edges before serving it. I save the juices from the pot to pour over the meat and rehydrate it a bit. Some fresh corn tortillas are my favorite thing to serve with the pork carnitas. 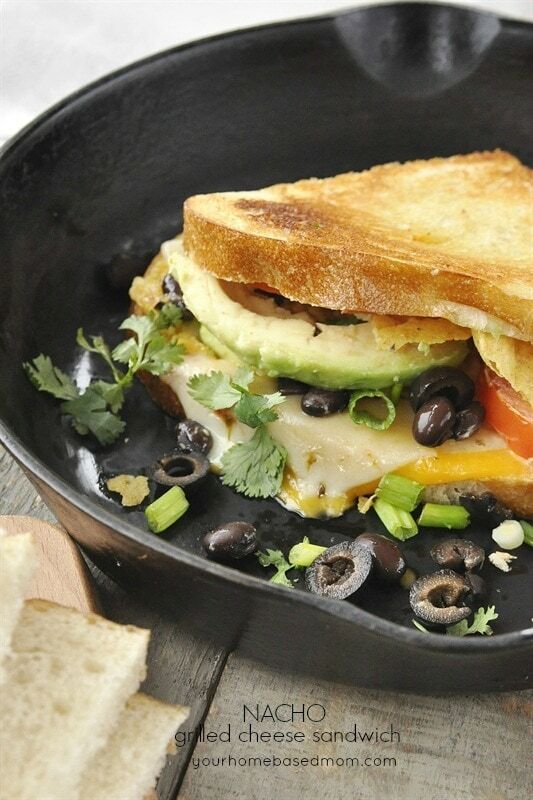 Then I top it with avocado, salsa, queso and just about anything! Garnish with some cilantro and you are good to go! This Instant Pot Balsamic Pork Tenderloin has great flavor thanks to a balsamic glaze made with rosemary and is quick and easy thanks to the Instant Pot. Mix together oil, salt, cumin, chile powder and pepper. Coat pork pieces in mixture. Brown in pressure cooker on saute setting or in a pan on the stove. Place meat into Instant Pot or slow cooker. Add in onion, garlic, oregano, cinnamon stick and juices. In a pressure cooker, cover and lock on lid. Use Meat setting allow to come to pressure, auto setting will cook for 35 minutes. In the slow cooker, cover and put on low for 6-8 hours. 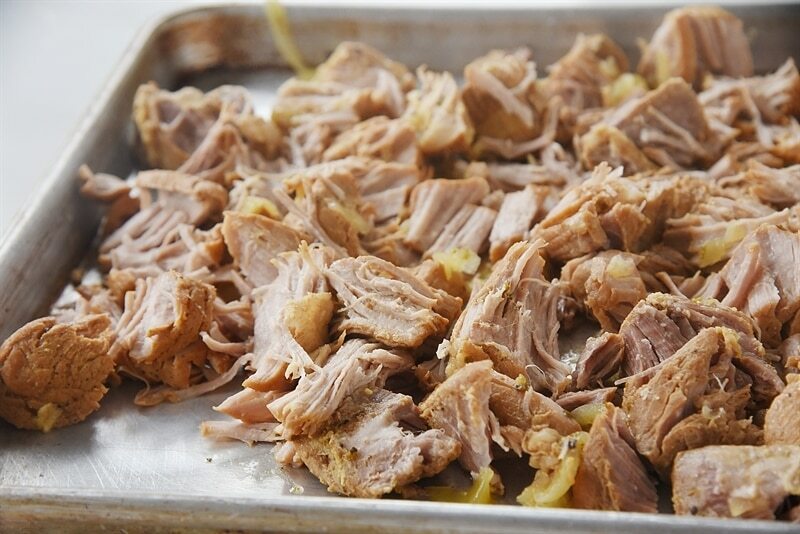 Shred meat and place on a baking sheet under broiler for 5 minutes to crisp up edges. Reserve juices to pour over meat before serving if desired. Cook on low for 6-8 hours or high for 4-5 hours until meat is tender and pulls apart easily. Made this tonight and it was fantastic! It was my first time making carnitas and I’m also an Instant Pot newbie, so I’m feeling on top of the world right now 🙂 Thanks so much! I am so glad it was a success for you. 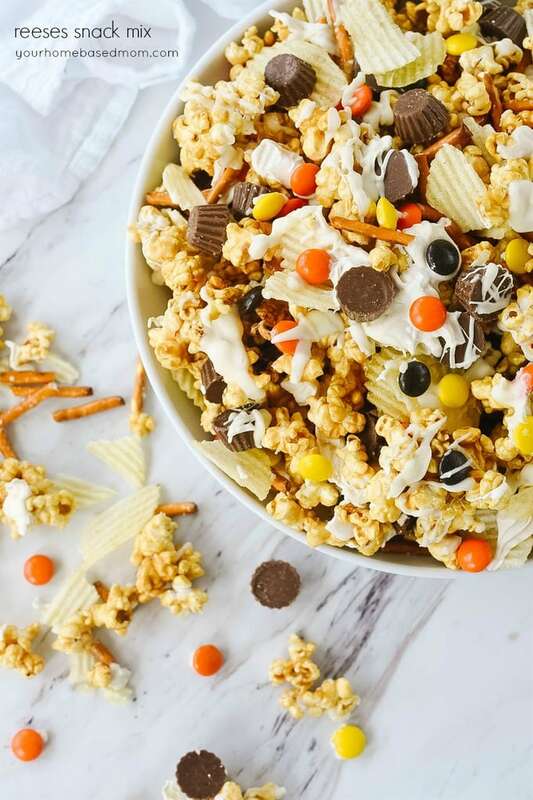 Be sure and check out the other Instant Pot recipes i have on the blog. The pork is one of my favorites! The cilantro is listed as a garnish, meaning you can add some cilantro on top as a garnish if you like. Just sprinkle on as much as you like. Sara, I am curious where you are clicking that you think needs cleaning up – please let me know – thanks!